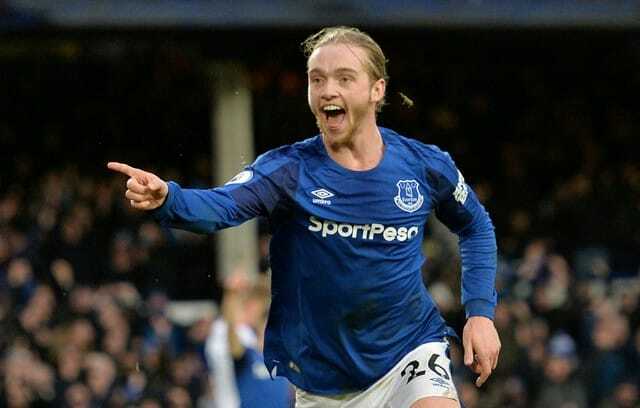 Gylfi Sigurdsson, Oumar Niasse and Tom Davies were on target as Everton eased past Crystal Palace 3-1 on Saturday to climb to ninth in the Premier League table. Midfielder Davies all but sealed the victory with a low finish in the 75th minute against a Palace side who showed little threat until Luka Milivojevic converted a late penalty after Ashley Williams handled the ball. Everton leapfrogged Bournemouth to climb to ninth on 34 points from 27 games. Palace are 14th with 27 points. Meanwhile, Swansea City edged further away from the Premier League relegation zone as Ki Sung-yueng scored a late goal to beat Burnley 1-0 at the Liberty Stadium. West Ham overcame Watford 2-0 in a game with plenty of chances at the London Stadium, putting the Hammers level on points with their opponents in the middle of the Premier League table. Stoke City blew a chance to move out of the Premier League’s bottom three when Charlie Adam missed a 90th-minute penalty as they were held to a 1-1 draw by Brighton and Hove Albion.